In the days after the 2016 election, Gizmodopublished a much-discussed story that predicted our current moment. The story, written by Michael F. Nuñez, alleged that Facebook had built a tool to reduce the spread of fake news — and then abandoned the tool over fears it would disproportionately affect right-wing news sites. Nuñez reported that Facebook had undertaken a high-level overview of its products in an effort to identify ways in which they might be biased against conservatives. When an earlier generation of media companies acted as gatekeepers against false and misleading stories, they created a market for alternative media. That led to the rise of conservative talk radio, Fox News, and (most recently) the alt-right. 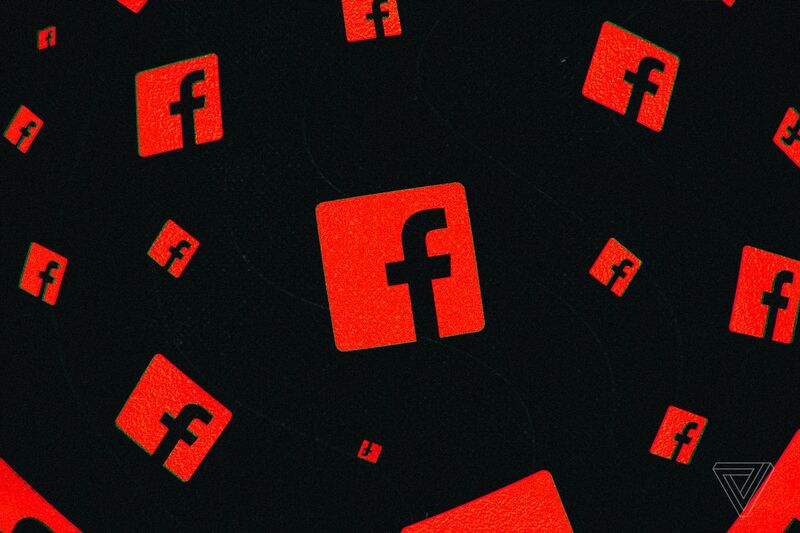 Facebook’s worst nightmare is that conservatives stop seeing it as a neutral platform, and create a fair-and-balanced social network of their own. Scary thought: Imagine tribal news delivered via tribal pipes. And, as one mischievous Trump adviser told us, imagine the president moving his Twitter show to that network. Get The Verge’s daily newsletter about social networks and democracy the night before everyone else does. Of conservatives who have used Facebook, 32.3% say they have either left (7.5%), or are considering leaving (24.8%), Facebook due to its censorship of conservative views. What’s more, nearly two-thirds (66.9%) of conservative likely voters have less trust in Facebook than they did a year ago. Likewise, nearly two-thirds (66.1%) do not trust Facebook to treat all political views equally and 64.6% believe sites like Facebook are intentionally censoring conservatives and conservative ideas. A frustration I have with this poll — and with the whole debate, really — is that the terms are so imprecise. What would mean for Facebook to “treat all political views equally”? Facebook was built to be personalized to the individual; if you want to see nothing but Fox News in your feed, you very easily can. Conversely, were Facebook to inject an equal bunch of articles from CNN or the New York Times into your heavily curated, Fox-only feed, you would likely see Facebook as more biased than it is today. But it’s hard to fight a fundamentally emotional argument with reason. (That sentence also doubles as my preview of next week’s Congressional hearings.) Mainstream press outlets have largely been unable to convince conservatives that they are practicing journalism in good faith. And I suspect Facebook will have just as hard a time. It seems almost quaint now to think about the months before the election, when Facebook scoured its products for evidence of actual bias against conservatives. It seems clear now that no matter what it found, or did, it would be facing the same fury it did today. And given the bad-faith arguments it rests on top of, it’s not at all clear what Facebook can do about it. President Trump told Bloomberg that Google, Facebook, and Amazon might be in a “very antitrust situation.” One of the most dreaded of all antitrust situations. Twitter Inc. is in a more precarious position than its larger competitors, though. Dorsey’s company can’t match their user bases or cash reserves, and the modest user growth he’s fostered over the past two years could vanish if Twitter starts losing conservatives over concerns, warranted or not, about bans and “shadow bans” (in which a user’s content is invisible to everyone but ­themselves—a ­practice Twitter says it doesn’t engage in). On the other side, the service could lose liberals who won’t participate on a site they perceive to be fostering abusive speech or bending rules to accom­modate conservatives. The latest flashpoint is a decision Apple, Facebook, Spotify, and Google-owned YouTube made in early August to purge content from Alex Jones, the shock-radio host and creator of the website InfoWars, over posts and videos that violated their hate-speech and harassment policies. Twitter has also been under mounting pressure to ban Jones, notably for spreading false assertions that the 2012 mass shooting at Sandy Hook Elementary School in Connecticut was a hoax. After his competitors’ decision, Dorsey tweeted that Jones “hasn’t violated our rules” and implied that other platforms had caved to political pressure. Senator Angus King, a Maine independent who caucuses with Democrats, said Google and the other companies should all send their CEOs. “This is the United States Senate, this is an important issue, and we deserve to hear from the decision-makers, not the people who carry out the decisions,“ King said. Sen. Orrin Hatch (R-Utah) has asked the Federal Trade Commission to re-open the investigation into whether Google’s search and digital advertising practices are anti-competitive, Harper Neidig reports. Note that this request is based in reality — unlike, say, claims that Google search results are “rigged” against the president. Hatch sent a letter to FTC Chairman Joseph Simons expressing concern about reports in recent years ranging from Google restricting competing advertising services to collecting data from users’ Gmail inbox contents. Duterte’s campaign machinery strategically focused onassembling bloggers, digital influencers, and fake account operators to tap into the public’s deep-seated anger—and convert these emotions into votes on election day. This was initially a cost-saving maneuver for an “outsider” candidate lacking extensive political resources, but it worked to great effect. This tactic owed much of its success to the fact that the Philippines is the world’s “social media capital,” with the average Filipino spending more time on social media than any other nationality. These campaigns advise users to verify authenticity of messages before forwarding them and to report content that they might find to be inflammatory. It also cautions users to be careful about forwarding messages that contain misinformation and said doing so, could have serious repercussions. Sarah Kuranda does us all a great service by offering an up-to-date org chart. Sarah, may you continue to update this in all perpetuity. I bookmarked it immediately, and I’m sure I’m not alone. Recent research found that Twitter bots were sharing content that contributed to positive sentiments about e-cigarettes. In West Africa, online health misinformationadded to the Ebola death toll. In New South Wales, Australia, where the spread of conspiracy theories about water fluoridation run rampant, children suffering from tooth decay are hospitalized for mass extractions at higher rates than in regions where water fluoridation exists. Over the past several weeks, new cases of measles—which the Centers for Disease Control and Prevention declared eliminated from the United States in 2000—have emerged in places such as Portland, Boston, Chicago, and Michigan; researchers worry that the reemergence of preventable diseases such as this one is related to a drop in immunization rates due to declining trust in vaccines, which is in turn tied to misleading content encountered on the internet. With new tools and technologies now available to help identify where and how health misinformation spreads, evidence is building that the health misinformation we encounter online can motivate decisions and behaviors that actually make us more susceptible to disease. Grindr essentially invented modern gay dating and has had a dramatic (and too-little-explored) affect on the culture. It’s now preparing to go public, and good lord I can’t wait to read the risk factors on that S1. Here you have a network where an extremely number of high-profile individuals are regularly sexting and exchanging nudes with often-fake profiles around the world, providing a ready source of kompromat to, say the Chinese government, which almost certainly will take an interest in everything passing through the Kunlun Group’s servers, assuming they haven’t already???? Creator behind Welcome to My Meme Page (300,000 Facebook followers): I think Demons have descended upon our world. We are thrashing under the fever of a Great Sickness, yet we do not know it. Twitter said Thursday that it would begin requiring some organizations that purchase political ads on topics such as abortion, health-care reform and immigration to disclose more information about themselves to users, part of the tech giant’s attempt to thwart bad actors, including Russia, from spreading propaganda ahead of the 2018 election. The new policy targets promoted tweets that mention candidates or advocate on “legislative issues of national importance,” Twitter executives said in a blog post. To purchase these ads, individuals and groups must verify their identities. If approved, their ads then would be specially labeled in users’ timelines and preserved online for the public to view. And promoted tweets, and the accounts behind them, would be required disclose the name of the actual organization that purchased the ad in the first place. But even if the methodology is flawed, Google applies it equally to all the media organizations in its news universe. It might not be a “free” marketplace of ideas, but it is a marketplace with fairly well-known and nonpartisan rules. If right-wing sites aren’t winning there, maybe Google isn’t the problem. Operate a walled garden and journalists will rail against you for your greed. Operate a more open system and journalists will constantly ask, how did you let this happen??? The offensive change appears to have been a result of edits to Mapbox, a widely used service that powers the maps inside of all these apps and more. The change was also spotted inside the app for StreetEasy and on The New York Times’ map of 2016 election results. Mapbox also lists Vice, Vox (our sibling site), and the FCC as groups that have made use of its maps, however, the vandalism didn’t show up on those sites. I can’t help but feeling like, were there not so many Nazis walking around these days, this would seem more like a junior-high prank than a genocidal influence campaign. But, you know!